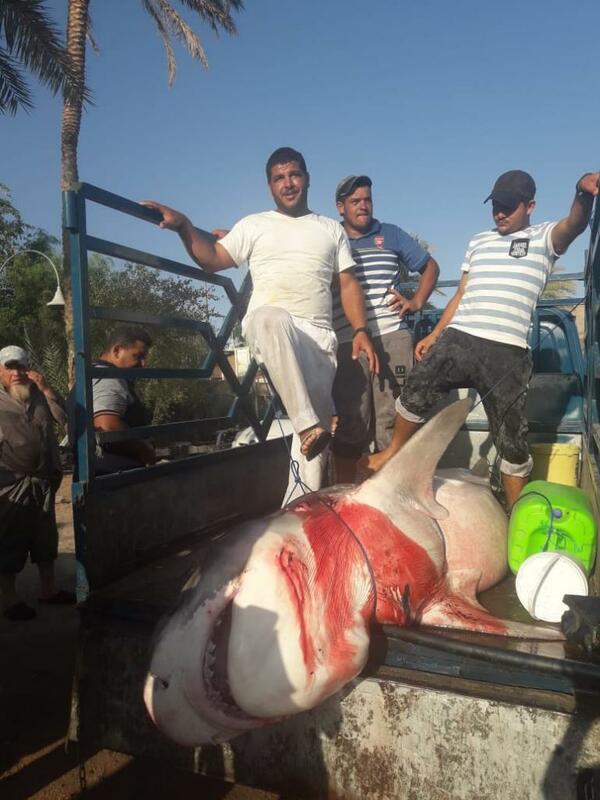 Five months ago, local fishermen in Aqaba caught a Tiger Shark measuring four-meters-long and weighing around 300 kg. This week, a second Tiger shark was caught in the Jordanian port city, measuring more than five meters in length. The ocean predator was caught using a basic fishing net; it died after receiving continuous blows to the head. Footage of the shark being beaten over the head are displayed in the video below*. *The footage below may be disturbing for some of our readers. Photos of the dead fish made the rounds on social media. In one photo, the fishermen who caught the shark proudly posed with their prized possession, while one brave child placed his hand over the shark as he posed for a picture, while the fish lay in a pool of its own blood. Tiger sharks are the second most dangerous sharks, behind the White shark, in the number of reported attacks on humans, according to the International Shark Attack File. Jordanian marine expert Mohammad Al Towah told Roya that very few people are aware of the danger those fish pose on humans. He added that Jordan has signed an international agreement prohibiting the fishing of these species of fish, which are not indigenous to Aqaba. 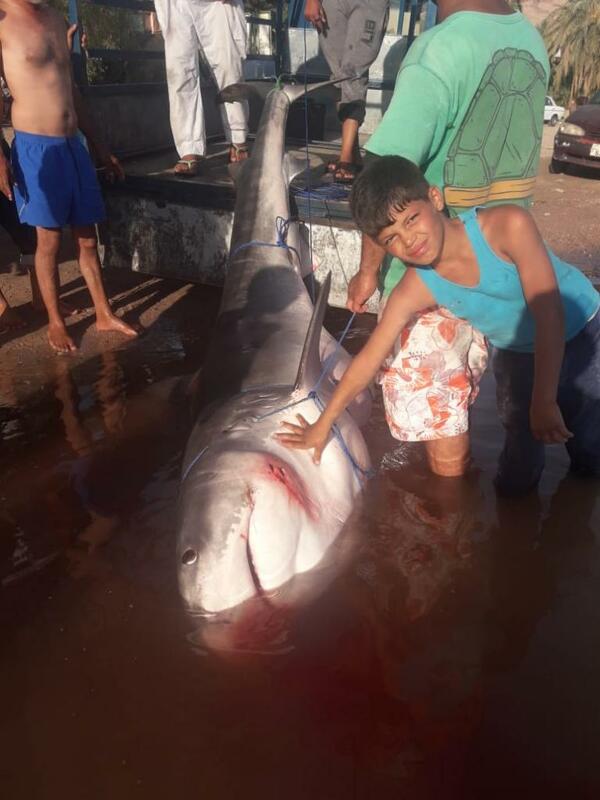 Despite Aqaba Marine Park (AMP) Director Abdullah Abu Awali also warning fishermen against hunting sharks in 2015 - after a local fisherman caught a three-meter-long shark and displayed it on the beach - the Tiger shark caught on Wednesday was killed, and was pictured bleeding on the beach. Exclusive: Sharks in Aqaba, where did they come from?